Manchester City have rubbished claims they made a failed bid to sign Barcelona legend Lionel Messi. Messi has been linked with City several times since former Barcelona boss Pep Guardiola was appointed manager of the Premier League club in 2016. 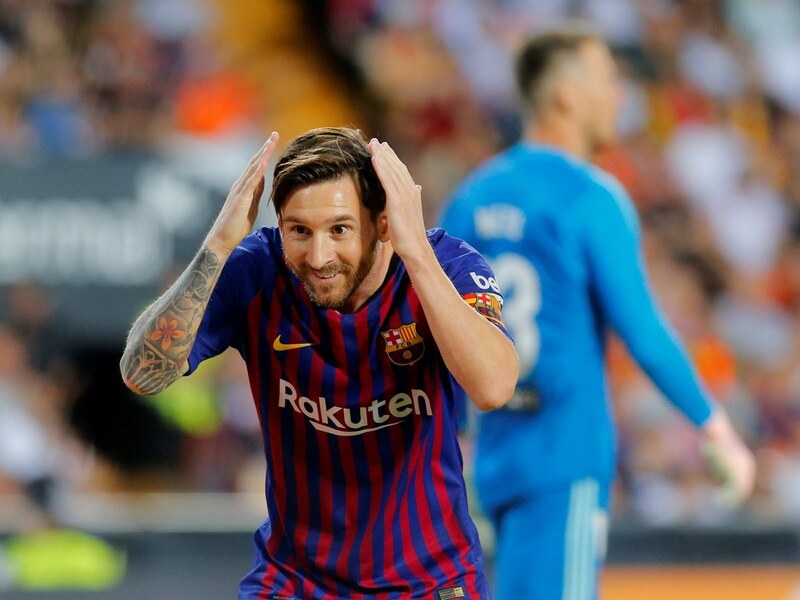 City chairman Khaldoon al Mubarak was quoted in Spanish newspaper Mundo Deportivo as saying he once made a lucrative offer for Messi, which would reportedly have paid him more than £1 million ($1.3 million) per week. “We asked Guardiola to talk to him, we offered him triple the salary he has at Barcelona, but he never accepted,” Mubarak was quoted as saying. But City responded by insisting there was no truth to the report. “We deny the veracity of these quotes,” a City spokesman said. Argentina forward Messi played under Guardiola for four seasons at Barca, during which time they won 14 titles. The 31-year-old signed a new contract with Barca in November 2017. Guardiola won the Premier League and League Cup with City last season.